IT, Knowledge, Entertainment, Fun etc. Just as it was the case with past upgrades to its Windows client and server platform, following the RTM and GA of Service Pack 1, Microsoft will start to automatically push the bits to Windows 7 RTM and Windows Server 2008 R2 RTM computers. 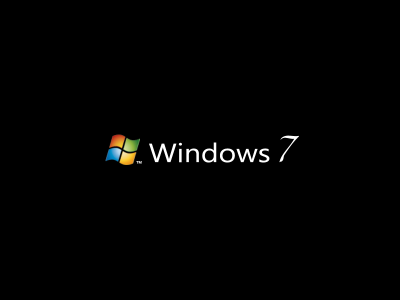 Customers with Automatic Updates enabled will be automatically upgraded to Windows 7 SP1 and Windows Server 2008 R2 SP1. Still, the Redmond company is also offering customers the possibility to block the delivery of Service Pack 1 and continue to have AU enabled. This can be done with help from the Windows Service Pack Blocker Tool Kit. In fact, a new version of the Windows Service Pack Blocker Tool Kit went live on the Microsoft Download Center on November 11, 2010. There are no less than three components packed into the toolkit. Customers can choose to take advantage of either a Microsoft-signed executable, a script or an ADM template. However, all three components are essentially designed to perform the same task. The toolkit is capable of providing a registry key which will block the download of SP1 for Windows 7 and Windows Server 2008 R2. The same components can then be used to remove the registry tweak in order to make sure that the operating systems will be able to detect SP1 and download it from WU. “1.The executable creates a registry key on the computer on which it is run that blocks or unblocks (depending on the command-line option used) the delivery of a Service Pack to that computer through Windows Update. The key used is HKLM\Software\Policies\Microsoft\Windows\WindowsUpdate. 2.The script does the same thing as the executable, but allows you to specify the remote machine name on which to block or unblock delivery of Service Packs. Microsoft has recently released the Release Candidate (RC) of Windows 7 SP1 and Windows Server 2008 R2 SP1, a download which continues to be available to testers. The company expects to deliver SP1 to customers in the first quarter of 2011. But although the software giant is saying that Windows 7 RTM will drop ahead of March 31st, 2011, some sources are claiming that the service pack will reach RTM far sooner, even as soon as the end of 2010. Get Everything Done All Rights Reserved.